SNW Forum • View topic - The Creature DNA Card Challenge #45! The Creature DNA Card Challenge #45! *Last global update April 14, 2010: added content: Tag finds database!, web safe stat, faq update. The global introduction & explanation can be found underneath the quoted part that shows the current assignment. This is for those who enjoy to read it here rather then clicking on an external link. However each time a new assignment is released the old one(s) will be available only on an external web page, though they lead to a safe web site*(webs.com) its up to the individual to click external links. See what people have made with the DNA challenge! These numbers below link to a Sporepedia DNA tag search result, a number itself represents the assignment number. Please notice the search results are self-updated, each time a person makes a DNA creature using the correct assignment number tag it could be added automatically to the search results below, is yours not showing? recheck if you have used the correct tag. Also the finds could show DNA creature not in the sporecast, reasons could be someone made a captain out of a dna creature while the sporecast is for creature phase designs only. 39, 40 , 41 , 42 , 43 , 44 ---> to be continued. This is the current assignment! Number 45! Mouth: People without C&C, simply use the "Terrorpin" instead. Arms: A Number DNA card: Your creature can only have 2 Arm parts, so two arms not to pair of arms which makes 4 arms, nope 2 arms only, what kind of arms are up to you, could be 2 different ones or 2 of the same arm. Hands: People without C&C, simply use the "Succulenders" instead. Weapons: A FORBIDDEN dna card! : You may not use any weapon parts for your creature. Peace man! Details: People without C&C, simply use the "Icky-osaur" instead. Adding the correct TAG makes your DNA creation active to be found by this topics Tag find Database! Name&description: you are free to decide this. Submission: Please post your results in this topic. Notice that the above quoted part is the part in this post that over time will show new assignments. This section below is the original introduction and explanation of this challenge, however each new assignment will have a global description on what to do, and despite of the fact that you can use the quick links on the top of this post, the section below is for those who enjoy to read it here rather then clicking on an external link, however each time a new assignment is released the old one(s) will be available only on an external web page, though they lead to a safe site (webs.com) its up to the individual to click external links. Welcome to the Creature DNA Card Challenge! 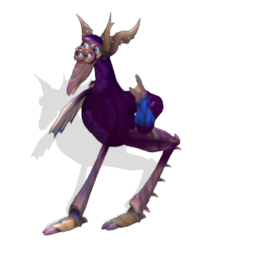 This challenge originates from a very early Dutch Challenge, but now also available for the international spore fan! I know this topic looks like it has a lot of reading, but I ensure you it is needed to fully understand this challenge. But don't worry I will guide you with each new assignment. So please read everything with care, and if you still got questions, feel free to ask them. In this Challenge you will see randomly generated "DNA Assignment Cards" per part category. These DNA Cards will show images and the names of the creature parts needed for the current assignment. 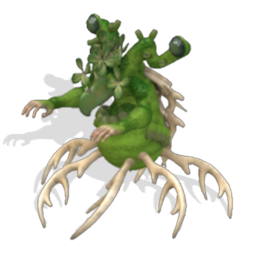 The purpose is to make a creature from scratch and only use those parts that are showed on the DNA cards per part category in the assignment image. Below every new assignment is an extra explanation. Post your results in this topic, don't forget to provide a link to it. HELP I DO NOT OWN C&C and/or Patch 3 parts! The first set of parts are the Main Assignment Parts - Everyone who owns the "Creepy & cute" and "Patch 3 limbs" parts, Must only use this assignment! The second parts are the None C&C/Patch 3 parts - These assignment parts are a replacement for the randomly generated parts of the "Main Assignment Parts" for those people who do not own "Creepy&cute" and/or Patch 3 parts. These Alternative Assignment parts must ONLY be used as a replacement for the main assignment parts, if you do NOT own Creepy&Cute and/or Patch 3 parts. The DNA Cards: The Global Explanation. This indicator on the DNA card shows the in game part category in which you can find the part to use for the assignment. The Eyes&Senses, and the Arms&Legs. With the Senses different from the eyes, is meant the parts like noses, ears, antenna's which in game you will find under the "eyes" category also. This indicator on the DNA card will show what spore expansion contains the part needed. If there is no indicator on this spot, it means that its a standard creature creator part. Notice that users without C&C or patch 3 will have to look at the alternative parts in the assignment and use those. This section of the DNA card will show you an image of the part to use for the assignment. Notice that sometimes there could be a whole other image here, but that is explained later. This will show the name of the part to use as it appears in the creator creator. As you can see the name is shown in the Dutch and English language. This is because some people from the Netherlands chose for the English installation, and because back in the days that I had created the cards, I was already thinking of releasing this challenge international too. There are special DNA cards that can be showed in the assignments. Joker DNA cards can occur for "every" part category. The Forbidden DNA card can occur in "every" category except for the "mouth" category. When a Forbidden DNA card is showed for a specific category, you may NOT add any part for that category. The above forbidden DNA card is for the "feet" category, simply meaning that your creature may NOT have feet parts added. 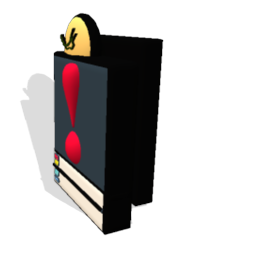 The Number DNA card can be shown only in the categories: "Arms" "legs" and "Eyes". When a Number DNA card is shown it acts like a "joker DNA card" but with the rule that you must keep to the exact amount of parts indicated by the number that is showed. So not more but none less then the indicated number on the Number DNA card. Also different from the Joker card, you MUST add the category part and cannot decided not to add it. The above Number DNA card is for the "arms" category, meaning that you can choose to add 5 different arms, or 5 of the same arms, just as long as the amount is 5, none more none less. This concludes the Global explanation of the DNA cards. Start creating a new creature using the indicated parts of the assignment. 1. you must use the indicated part for each of the assignments categories. Nothing else but the given part. You may decide how much of the given part you place. 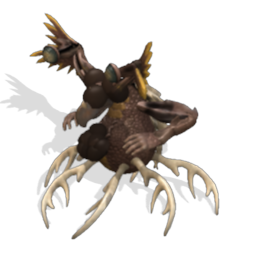 * Please try to keep the parts visible and not hidden within the creature, though it could be because of the automatic thumbnail generation of spore a part is not visible, its not this challenge's purpose to hide parts on purpose. BUT: The main thing is to have fun and keep to the given assignment parts, but it would be appreciated if you did try to make a DNA creature that is showing the parts needed in the thumbnail. *Users without Creepy & Cute or Patch 3 limbs use the Alternative parts to compensate the given c&c/Patch 3 parts that could show up in the main assignment. 2. Only when a "joker DNA card" is shown for a category, may you decide for yourself what kind of part of that category you want to use and how many of them. Notice that you are free to use more then 1 different kind of part for the category that shows a joker DNA card. for example: 1 or more different kinds of mouth when it is shown in the mouth category or more then 1 kind of eyes. You may also ignore to add the part for this category. January 5 2010 note: This challenge does not include Dr.pepper robot parts, but if a joker card drops you may add those if you are able to upload the creature. 3. Only when a "number DNA card" is shown for a part category you must keep to that amount. However you may choose what kind of part of that category you use. You may NOT ignore this part category. January 5 2010 note: This challenge does not include Dr.pepper robot parts, but if a number card drops you may add those if you are able to upload the creature. 4. Only when a "Forbidden DNA Card" is shown for a part category, you may not use any parts for that category at all. 5. Don't be worried if you do not yet understand it all, with each new assignment I will provide you with instructions on how to read the cards or what to do. 6. The current assignment is always linked on top of this post on page 1. 7. Post an image of your result along with a link to it here in this topic. 8. Don't forget the correct TAG! or else your creature could possible not show up in the TAG search result database. One final thing to know. This is a "challenge" and not a "competition", everyone is free in joining it. There is no "voting for the best creation" for this. Everyone is equally creative in my honest opinion. My purpose is for you to have fun creating, for the newly creators and for the already experienced creators this could be a fun thing to join. But on the other hand for the newer or "looked over" creators, this challenge such as most challenges and competitions is a great way to get your name out there. For what its worth I'm sure to check out each and everyone's spore page for those who made a DNA assignment. Just follow the assignment's and post an image of your creature and a link to it, here on this challenge topic. Below this you can find the faqs, more FAQ's or rules can be added later or just ask your questions in this topic and I will try to answer them in the best possible way. What is the main purpose of this challenge? The main reason is being creative, and experiencing new fun ways to create. Globally its about following DNA Card instructions. Do you have to be a popular expert creator for this challenge? Everyone can join, even the most experienced creators will find this to be fun even though they will be limited to the assignment at hand they could find new ways of creating using parts they perhaps never used that much before, newly creators will over time learn more about the different usage of creature parts and the fun of using those. This challenge is about creating a creature according to the assignments of randomly generated DNA cards, for this challenge it is the purpose to make a creature in "creator phase" only, but what you do with your creature afterward is up to you. Am I free in naming my creature and description and tags? Yes, but with all new assignments I will give you a tag to use. May i cheat "more dna"? yes. If you need to, you can. May I create using an older Assignment? Sure! but then do use the correct TAG for it, for instance, if its a creature made from assignment DNA1310dd-11, then use that assignment number as the tag. How quick will new Assignments follow? I usually try to give you all a new assignment each new week, or on the weeks ending (Friday/Saturday). If you have a arm (or leg), is it necessary to have a hand (or foot) at the end of the limb? 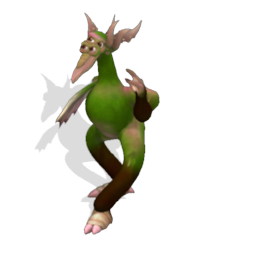 for example, could you use a arm as a tail (with no hand at the end)? 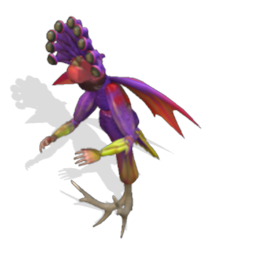 This could indeed happen when for the feet or hand category a "Joker card is shown" meaning you can ignore feet or hands and use the needed limb as a tail. So it is at least necessary to show a feet or hand if its a required card. if a kind of leg part is shown which must be included then you may always use that part more then once, but then you may not use a random leg from the leg category. Only when a Joker or number card drops may you decide what kind of leg from the leg category you wish to use as a tail or neck or whatever you intend to do with it. If you have a requirement to use a specific limb, do you have to use the whole limb as it comes off the part palette? Or can you just use segments from the limb: convert a 3 segement limb to a 2 segment limb, or change the order of the limbs segments? The whole purpose is to be creative with the required part, so yes. But then don't attach other leg category parts. 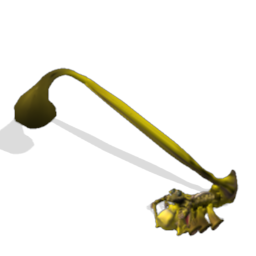 How do limbs requirements work if you are going to do limb sculpting (especially with the insect limbs)? By limb sculpting, I mean using limbs to make chest muscles, or spikes, or torsos. You may however combine with segments from other legs if a number or joker card drops for this category. Can you put a hand on a leg segment (to convert it to an arm)? As long as you use the required parts (if given) yes. and yes you may combine the required leg segments with the required arm segments. Can we resize the limbs? Now go ahead, be creative, but above all have fun! Last edited by Guest on Apr 23, 2010 7:17pm, edited 56 times in total. The DNA Machine has generated this assignment: Please notice the special DNA Cards* ! The "Main Assignment" :use this if you own creepy&cute and/or patch 3 parts. The "Alternative Assignment": use ONLY if you do not own creepy&cute or patch 3 parts. All others must keep to the "Main Assignment"
This Special DNA card means that you are free to choice what ever "senses" you would like and how many of them, please remind that with 'senses' is meant the parts that are showed in the 'eyes' category but are not really eyes, but parts like noses and ears. This special DNA card means that for this assignment your creature may NOT have feet, so remove the feet from the legs. Good luck, and be sure to add this tag to your creature " DNA1310DD-10", and place an image along with the link to it on this forum topic! Here is my first attempt and I hope I kept to the rules correctly (or is that the real challenge?). Last edited by Guest on Sep 09, 2009 4:57pm, edited 1 time in total. odDballL wrote: Here is my first attempt and I hope I kept to the rules correctly (or is that the real challenge?). First of all: Welcome to SNW! second: Yes that is a great attempt! I will add it to the sporecast! First let me say, good to see you here MsTweeDee! Welcome! Also let me be clear that I do accept feedback and other idea's on this challenge, perhaps it's fun to give 2 sets of assignments next time? then the tag's could be DNA1310dd-011-a and DNA1310dd-011-b or so? or perhaps idea's for random special cards ,I do have to make them in photoshop and add them to the other 347+ custom made DNA cards, and depending on what the specialty is, but that's no problem, I'm open towards Idea's. Great! its added, but could I ask you nicely to use the direct sporepedia link a next time? I went ahead and decided to try another one and this is what happened. The DNA Machine has chosen a new set of cards! Be sure to read the extra instructions below the assignment. Alternative Assignment - Only use if you do not have the patch 3 part. eyes: A Number DNA card has been chosen - This means your creature must have 6 eyes, not more not less. you can choose what kind of eyes, you may use different eyes just as long as it are 6, the larva eyes count as 1 eye not 3 like they appear same goes for the eyes that looks like 2 eyes. Arms: Your creature may only have 1 arm, use either the patch 5 asymmetric or find another way to get 1 arm. what arm you use is up to you. However some people could use a leg as an arm, but you must choose an arm from the arms category, not a leg. Legs: if you do not own patch 3, use the leg shown in the alternative assignment. Hands: A joker DNA card! yay!! you are free to choose what ever hand you like from the hands category. Tag: use tag "DNA1310dd-11" for this assignment! You may make more then one creature if you like.